LJW Solar offers a range of solar power solutions, including ground mounting solar power systems that are ideal for farm paddocks. LJW’s ground mounting solar power systems are wind rated and are especially built to enable property owners to place solar in the right location, away from shaded areas. 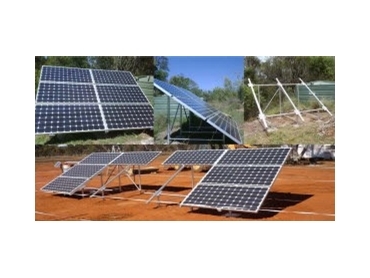 LJW Solar A Frame on ground solar systems have a 30 degree tilt on the ground and are specifically built to withstand winds of up to 300km per/hour, enabling the system to be secure in extreme weather conditions. They are manufactured from galvanised and painted sub-frame and aluminium extruded panel framing, again ensuring protection against the elements. LJW’s tilt on ground solar power systems can be tilted to cater for the requirements of the Australian geography and latitude and are ideal when north facing roofs are unavailable or are unsuitable. The tilt angle ensures self cleaning, however, it is recommended that the solar system be cleaned every few months to ensure peak efficiency. LJW Solar can customise solar systems to suit all requirements.